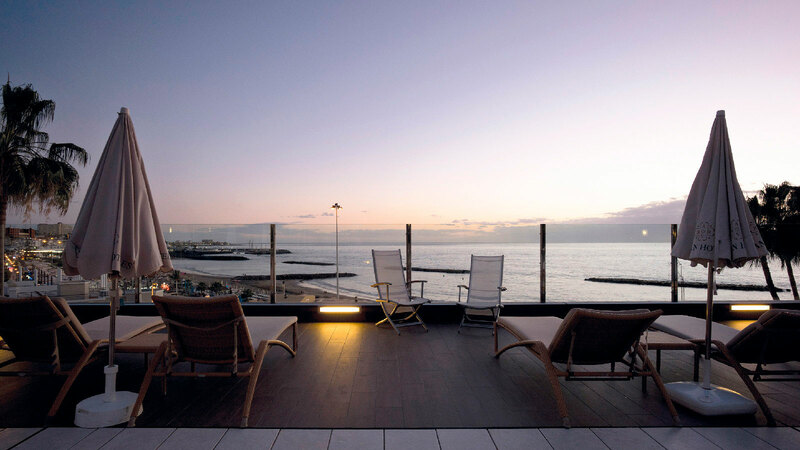 PORCELANOSA Grupo Projects: eco-sustainability and an island feel in the Jardines de Nivaria Hotel, in Tenerife. In order to achieve this, ImpulsArq’s creative process started with a simplification of what looked unnecessary. 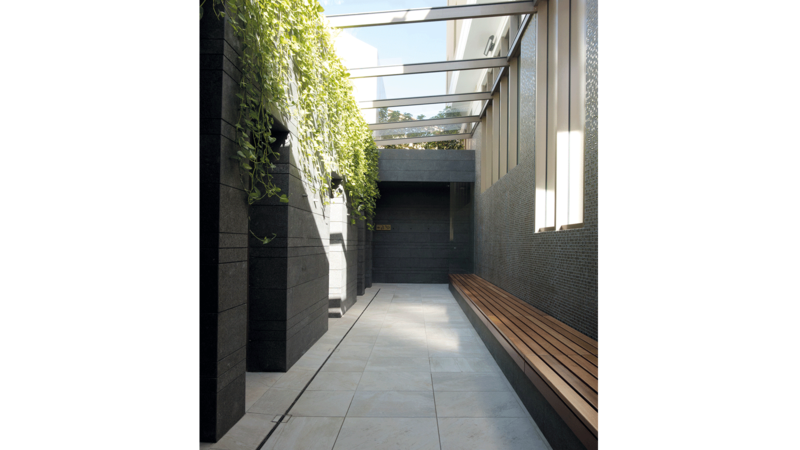 Working closely with Stone Design, the team banked on space homogenisation to conceive the project under a clear and overall view. The objective being: care should be taken in every detail by designing each part of the project with a unique piece in an overall strategy. 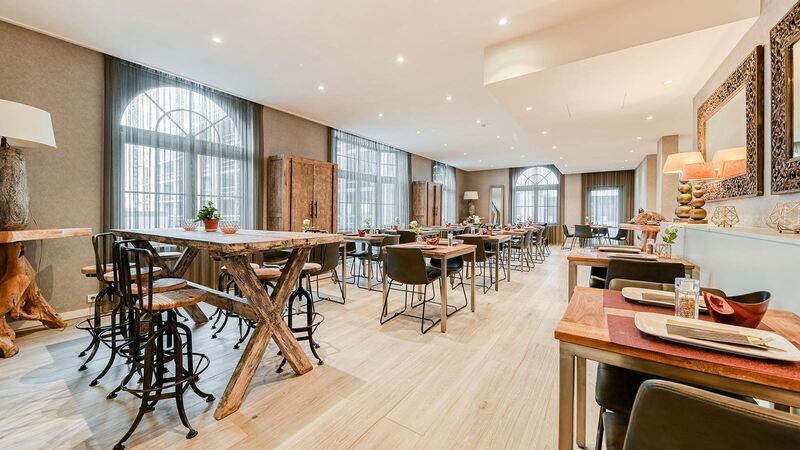 ImpulsArq, in turn, opted for differentiation beyond decoration, therefore creating an exclusive atmosphere where gastronomy, luxury and comfort were a ‘must’. Being able to preserve the strong island feel was one of the other cornerstones of the project. 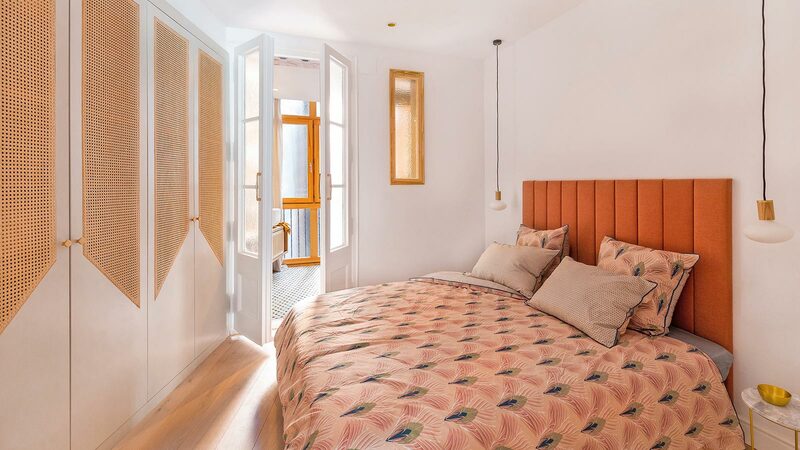 This is the reason why this hotel with a neo-art deco touch integrates the traditional island architecture through both the native material reproduction and the strong commitment to botany. Gardens, waterfalls, and magnificent vegetation typical of the island can be seen through the structure, thus, recalling the intrinsic purity and serenity of nature. The last feature sought after in this hotel by ImpulsArq was efficiency. 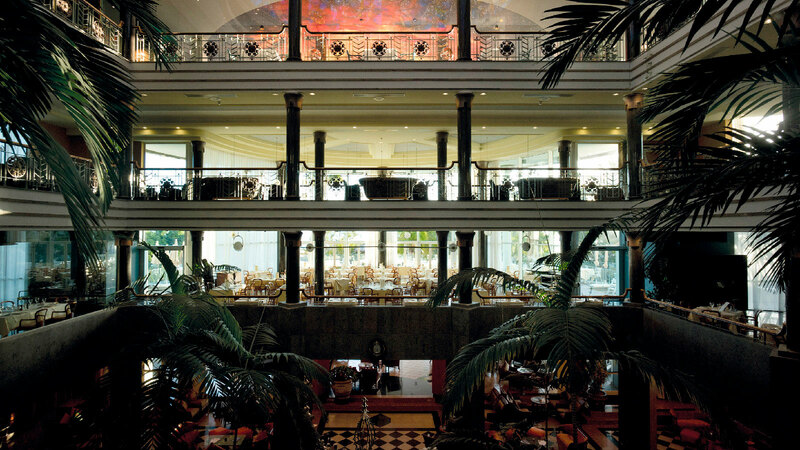 To such an extent that Jardines de Nivaria is considered today as one of the ten best eco-sustainable hotels in Spain. Efficient heating and air conditioning systems with the environment replace obsolete systems, and a lighting project with cutting-edge luminaires that encourages low consumption, while boosting the renewed overall view. 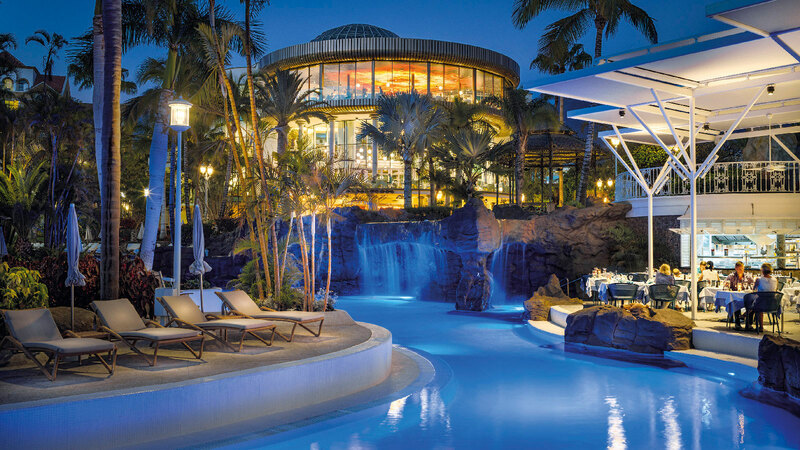 Tradition, efficiency and sustainability are tangible virtues in this unique project in Tenerife, without forgetting about the highest quality. 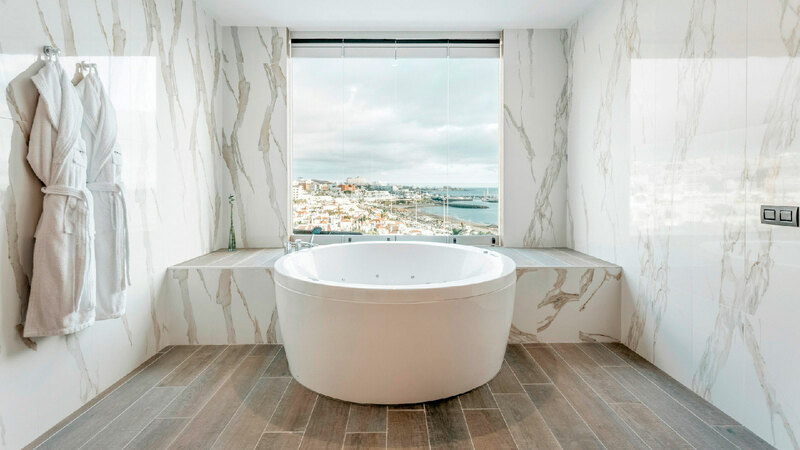 Jardines de Nivaria, a five-star hotel project, wanted materials and architectural elements that were up to the task, such as those that are only seen as being a benchmark in the sector, like those from the PORCELANOSA Grupo. 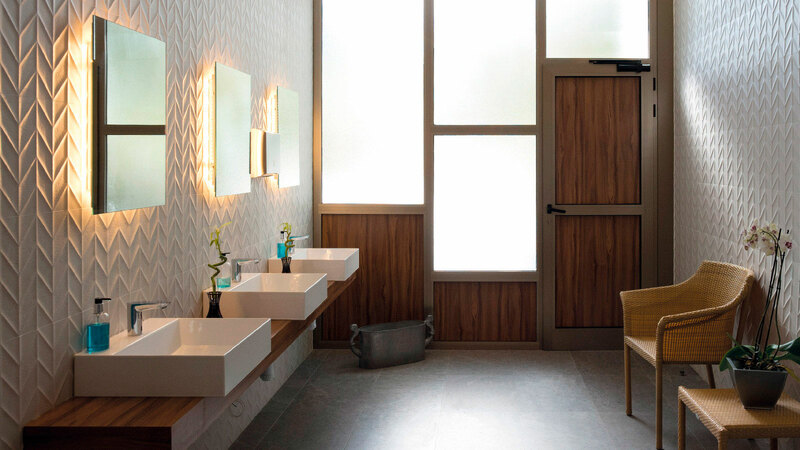 From floor tiles and wall tiles to bathroom equipment, this firm offers its high innovation and certifications to make its interiors an exclusive and unique atmosphere. 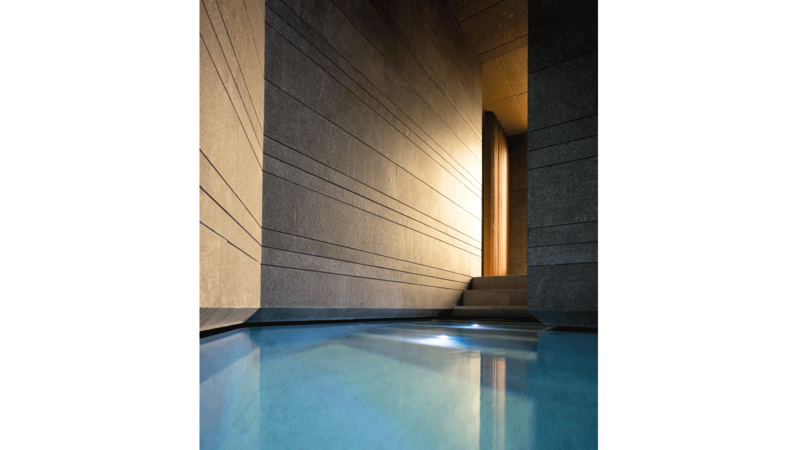 The spa is the most intimate place in the hotel, a space with its own atmosphere. We find the PORCELANOSA Grupo materials in the area that connects the different parts of the spa with the area where the jets of water can be found, and it is there where the anti-slip Arizona Caliza Antislip floor tile (43.5cmx65.9cm) really stands out. 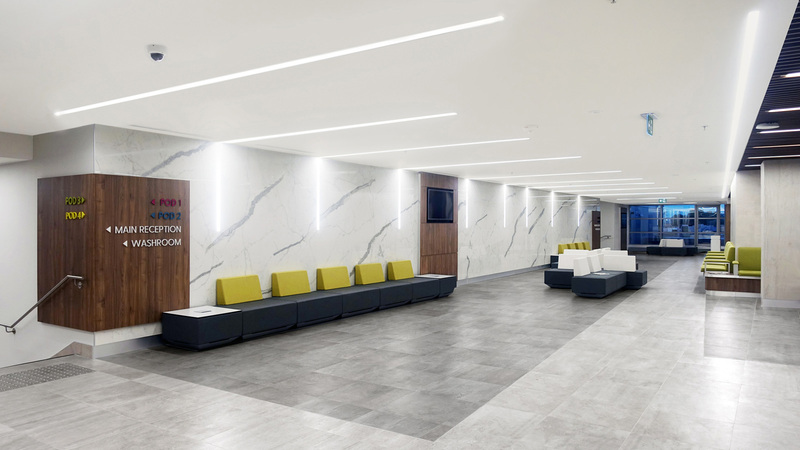 The reception area with a counter desk also has the hallmark of the Group, this time by Urbatek through the XLight Code White extra-slim porcelain tile in a Nature finish to enhance its modernity and beauty. 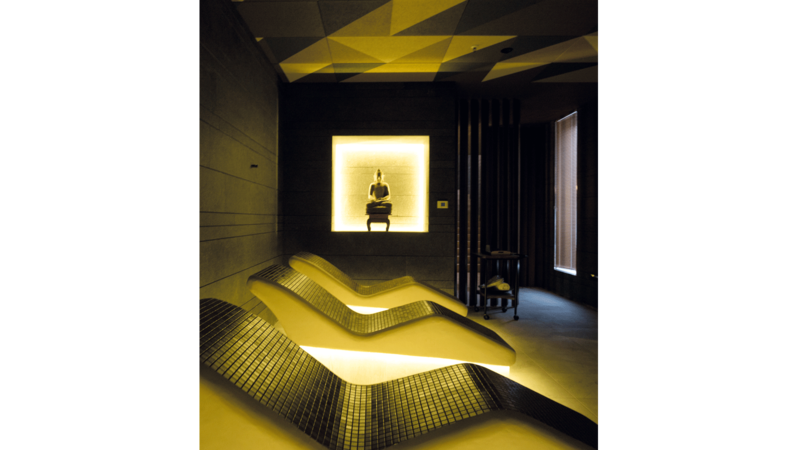 The interior patio area is covered with the Armour Caramel mosaic by L'Antic Colonial, a golden material which contrasts with the rotundity and sobriety of the black volcanic stone chosen for inside the spa. 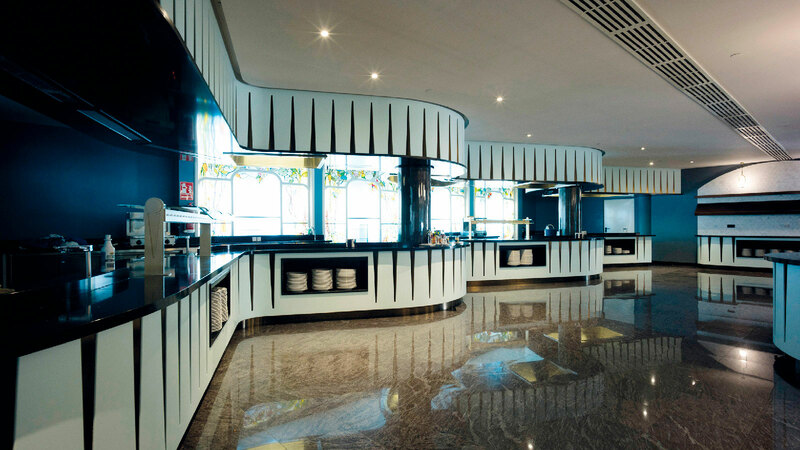 Solandra, the main buffet, is a display of a design showcased in the dynamism of its shapes and the variety of spaces which is highlighted by the light. The subtle introduction of the Krion® Solid Surface compact mineral, which enhances the clarity of an area with hardly any natural light, stands out in this space. The Victorian Diamond mosaic Marmara-Mir by L'Antic Colonial also highlights the oven and the bread stall, which are key places in Solandra. Another of the atmospheres where the PORCELANOSA Grupo materials stands out are the bathrooms. With a much needed refurbishment, these have been adapted to the latest trends in interior design through materials such as: the wall tile with Spiga Caliza texture, the Carrara Blanco marble or the Marmi Blanco PV, all by Porcelanosa, which provide freshness and luminosity all around. For its part, Noken focuses on the innovative bathroom equipment, like the Soleil Round 170 SX4 whirltub. 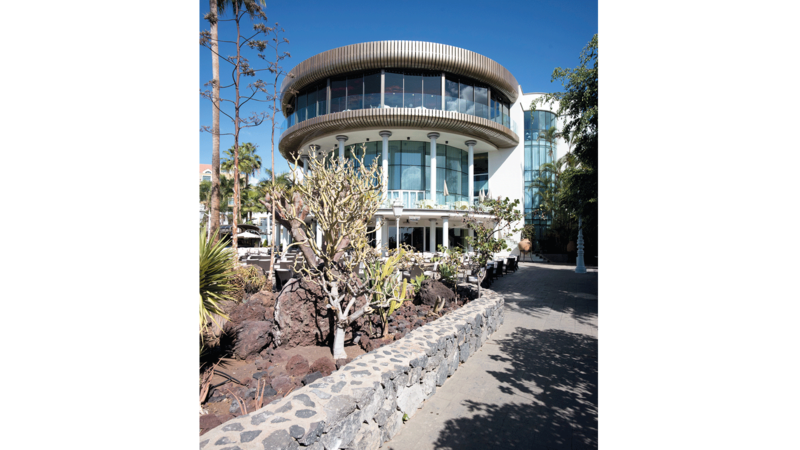 Outdoors, we visit charming spaces such as La Cupula, the gardens or the solarium which has beautiful sea views. A demanding location in which the anti-slip Tavola Foresta Antislip floor tile (19.3cmx120 cm) by Venis responds to technical requirements, and at the same time, it enhances the beauty of the place to the max.